I’ve been hooked for months now!!! Not only do I get hooked but I’m finding lots of great recipes. Can’t live without this app! 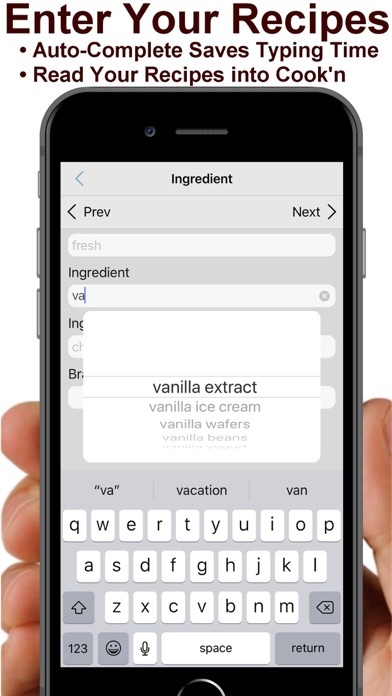 Helped me retrieve all of my recipes with detailed instructions. So grateful for the iCloud-well worth the investment! I have been using Cook'n for about 20 years off and on when you bought a DVD in the mail. 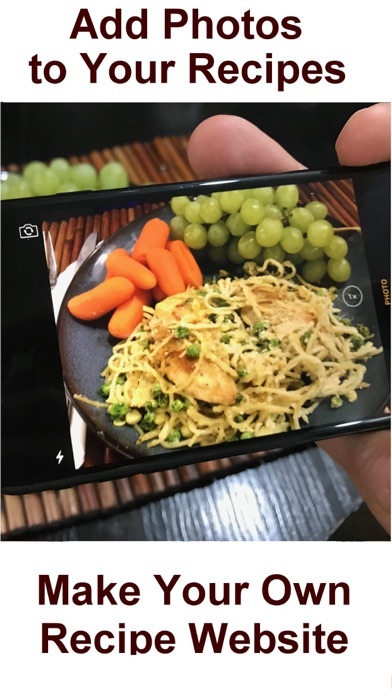 It use to be that you could put your recipes in the Cook'n app and if you had trouble with your computer, you lost all of your saved recipes along with all your other computer data. Not anymore! 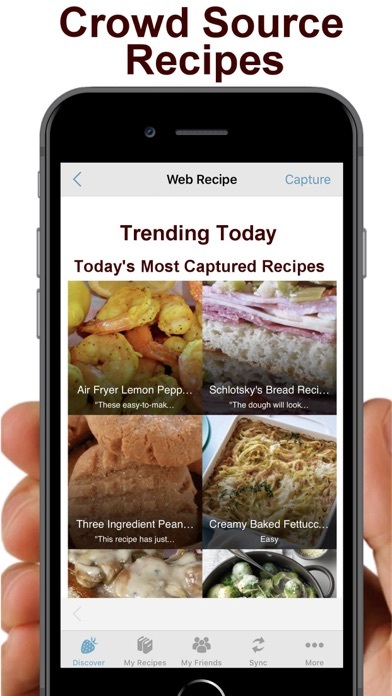 We now have the cloud to store all of our treasured recipes and keep them safe and sound. Along with the cloud to save everything, there are other things that are wonderful about Cook'n. There is a forum that you can join and talk to others, get help with Cook'n, get member support or just share a great recipe with the Cook'n community. Cook'n has another way to get help if you are having ANY problems. You can go online to DVO support and someone will get back to you in 24 to 48 hours. Support even includes them setting a time to get with you and get on your computer to find and end your Cook'n problems. The company is excellent. There is also a free cookbook each and every month for your membership fee. And, if that wasn't enough, you get a Newsletter that has a menu with recipes for the week that you can download to Cook'n. 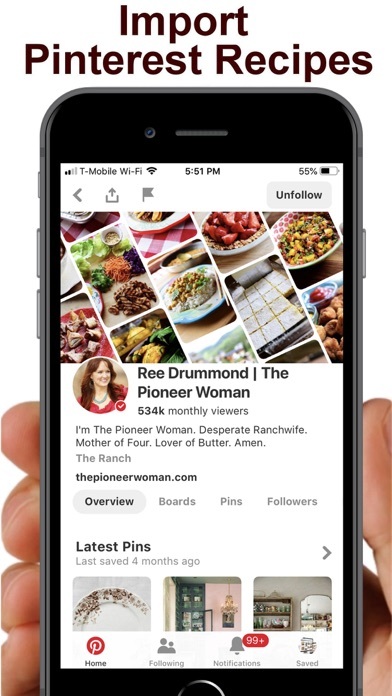 If you like Pinterest, you can save Pinterest recipes automatically to your Cook'n library. Dan and his team are constantly adding new things, or fixing a glitch here or there, and I am talking once or twice a month! They are like the Elves at the North Pole...always working on something for our benefit. Is all this affordable? I know it is. Are you a "foodie"? Do your recipes mean a lot to you? 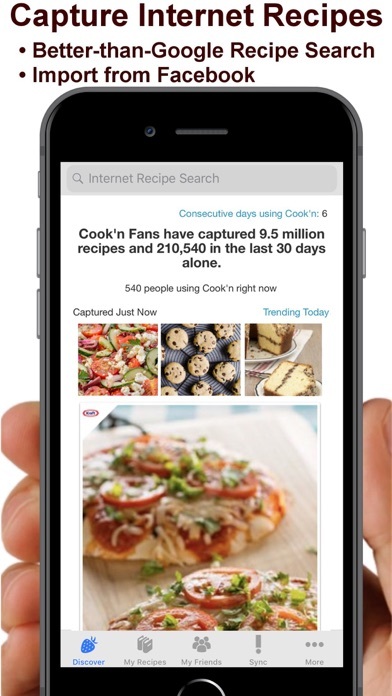 How about publishing your own cookbook of recipes that have been in your family for generations? You can with Cook'n. Are menus and shopping lists important as well to you? Cook'n does that too. I love my Cook'n app and found that I have my entire library with me when we go camping in our RV, which is nice to have on the road. Dan and his wonderful crew even fixed the problem of having to type in your recipes. We can now scan them in, or if you are online and find a great yummy recipe, you can click on an extension (a little strawberry) on the address bar and Cook'n imports your new find. I use that almost daily. Have I convinced you yet that this is the real deal and a terrific company as well? I hope so. I wouldn't still be with Cook'n if it wasn't. Hope to see you in the forum. I have been using this software since long before it became a smart phone app! 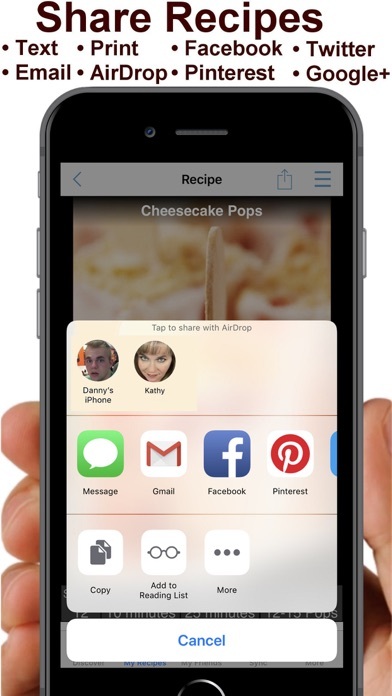 Now that I can access it on my PC, iPhone, iPad and even the on web, I never have to be without my favorite recipes. 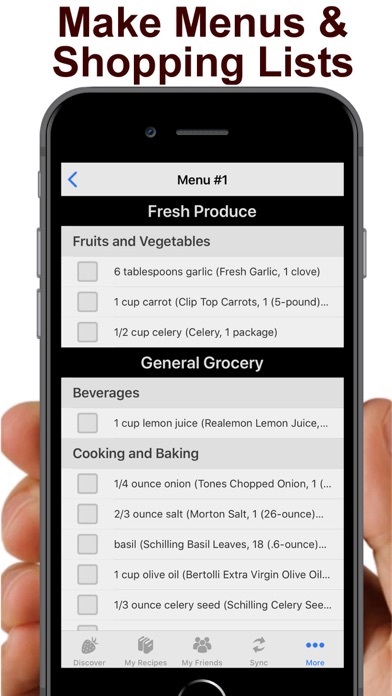 I can’t imagine trying to keep track of recipes or make meal plans and grocery lists without this app! Great support to go along with a great product! I have had this program for years and I cannot imagine being without it. There are always new improvement and updates. Anytime I have a problem the support team is very responsive and immediately helps with my trouble! Never received this much assistance from any other company. If you love to cook and have recipes you want to keep or even print your own cook book to pass on to your children or family members this is the software for you! I don’t think there is a better program available on the market right now. Try it for yourself!! 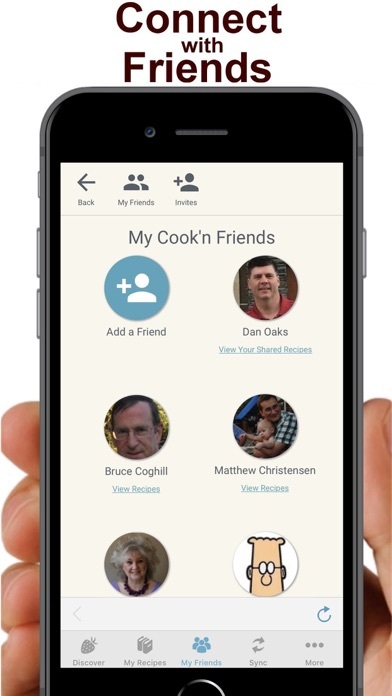 I have used Cook’N from the very beginning from just a pc software with no app integration. They have grow tremendously over the years and always looking for ways to improve. 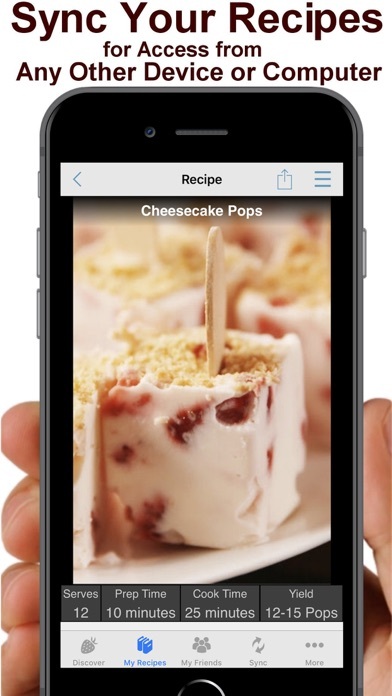 Being able to captures recipes from the internet directly into Cook’N is wonderful! I have also gifted the software to relatives, including my mother who is not the most technically-savvy person and she loves it, too. Even though I like to be able to “call” technical support, DVO’s email support has never let me or my mother down. It’s nice being able to see my recipes while shopping last minute at the grocery store so I do not forget any ingredients. 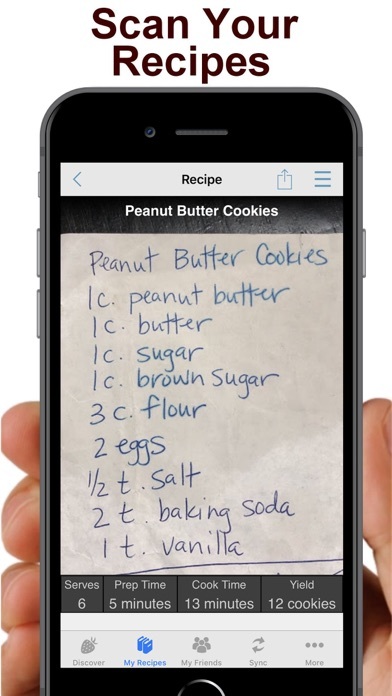 This is a great software/app and I do not hesitate to recommend Cook’N to anyone!